It’s been a very hot Summer here in Australia, and the heat has left some of the plants looking a little crispy and others not surviving altogether. We’ve put together some tips for you, so that in the future your garden stands a chance. DON’T remove the burnt foliage yet! 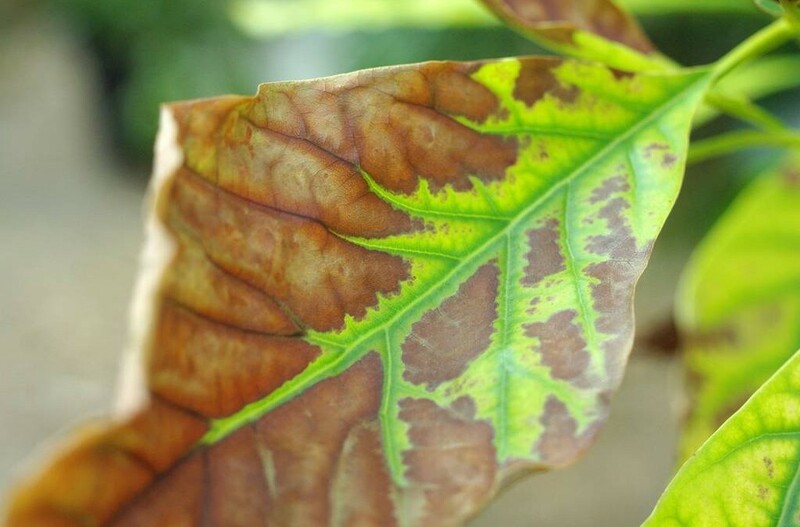 These burnt leaves will protect your healthy leaves from future damage. Wait until the weather gets cooler in Autumn before pruning back. If you can, create a shelter over your plants with some shade cloth. If your plant is in a light-weight pot you can move it into the shade. Remember to water when the sun goes down – evening or early morning is best! One of the best pieces of advice we can give to you, is to treat your garden with Seasol. This is important to do at all times as it is not only a tonic for heat and drought, but also for frost, insect damage, fungal attack, general stress tolerance and plant health. Many people incorrectly believe that the best way to save a sick and heat-damaged plant is to fertilise it, however fertilising a plant can actually be detrimental when a plant is stressed, as it forcing the plant to grow rather than repairing itself. For this reason Seasol is best to use, and this is because it is a plant health tonic. How does it treat the plant during times of heat and drought? One of its primary uses is to promote root growth, which is why it’s often used to establish young plants. Roots are where a plant takes up water, so increased root growth means more water absorbing tissue. Seasol also plays a strong role in strengthening plant cells, so plants can withstand harsher environments longer before they wilt, burn or show signs of stress. It can even reverse the effects of dehydration just after a single foliar application. The hot weather can be easier to deal with when you have the right information. It’s always better to prevent rather than treat, but with Seasol you can do both.